More people speak German as their native language than any other language in Europe. It’s no wonder, since Germany’s 83 million inhabitants make it the most populous European nation. But not only the residents of Germany speak German. It is also an official language of Austria, Switzerland, Luxembourg, and Liechtenstein. And it is the native language of a significant portion of the population in northern Italy, eastern Belgium, the Netherlands, Denmark, eastern France, parts of Poland, the Czech Republic, Russia, and Romania, as well as in other parts of Europe. Germany’s economic strength equals business opportunities. Multinational business opportunities exist throughout the European Union and in the Eastern European countries, where German is the second most spoken language after Russian. Companies like BMW, Daimler, Siemens, Lufthansa, SAP, Bosch, Infineon, BASF, and many others need international partners. The Japanese, who have the 2nd most powerful economy in the world, understand the business advantages that a knowledge of German will bring them: 68% of Japanese students study German. If you’re looking for employment in the United States, knowing German can give you great advantages. German companies account for 700,000 jobs in the United States, and US companies have created approximately the same number of jobs in Germany. All other things being equal, the job candidate with German skills will trump the one without such skills every time. Most surveyed companies in the United States would choose someone with German literacy over an equally qualified candidate. 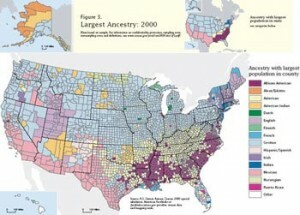 Germans form the largest single heritage group in the U.S. If you’re American or are interested in American culture, learning German can expand your appreciation and knowledge of U.S. history and culture. In the year 2000 census, 42.8 million or 15.2% of Americans reported having German ancestry, making German Americans the largest single heritage group in the U.S.
German is required or recommended by many undergraduate and graduate programs. German-speaking countries have a rich cultural heritage. Goethe’s Faust is one of the world’s great literary masterpieces. Johann Wolfgang von Goethe, Thomas Mann, Franz Kafka, and Hermann Hesse are just a few authors whose names and works are well-known internationally. 10 Nobel prizes for literature have been awarded to German, Austrian, and Swiss German authors. The world of classical music is inseparable from the names of Mozart, Bach, Beethoven, Strauss, and Wagner to name only a few reknowned German-speaking composers. Vienna remains an international center of music today. From the magnificent architecture of medieval buildings to the avant garde Bauhaus movement, from Dürer’s woodcuts to the expressionist masterpieces of Nolde, Kirchner, and Kokoschka, Germans have made substantial contributions to world art and architecture.